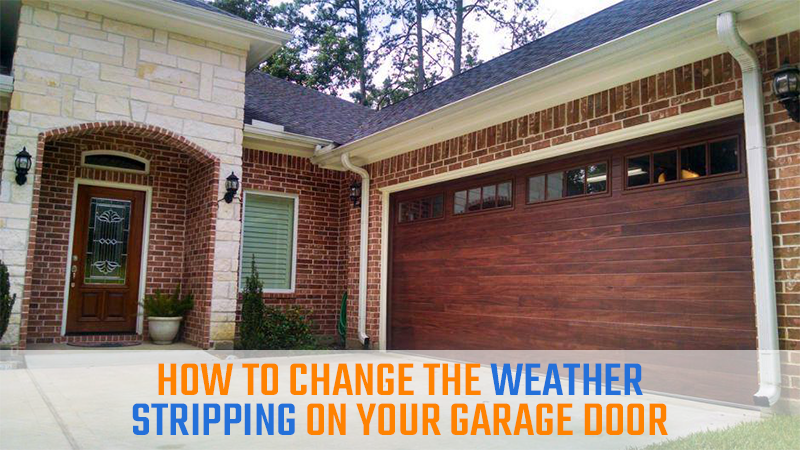 The weather stripping on the bottom of your garage door helps to seal out the elements and prevent wind, water and other debris from finding their way under the door and inside the garage. Under normal circumstances, it works great. But like all things, it tends to wear out from repeated use. The good news is that you can replace it yourself with a little time and the help of a friend. Assessing the DamageBefore you rush out and buy a new seal, check your garage door to determine whether replacing the weather stripping will solve your problems. You likely have the same weather strip that was attached to the door since your garage door installation and don’t have a clue what kind of shape it is in. To find out, open the door a bit and examine the weather stripping. Ask your friend to hold the door open to prevent accidents. Look at the U-shaped rubber seal to see if it is torn, damaged or whether the metal or PVC retainer needs repair. If only the weather stripping is damaged, you are in luck. You can buy a new one at your local home improvement center and replace it yourself. If the retainer needs to be repaired or replaced, we can help you with that. Replacing the Weather StrippingWhile you can do this yourself without any help, another set of hands comes in handy. Ask a friend of family member to help you out. Here’s what you need to do. Open the garage door so that the bottom of the door is at a convenient height for you to remove the damaged weather stripping and replace it. If you do not have an electric garage door opener, you will either need to use a pair of vice grips to secure the door by clamping them on the vertical rail or have a friend hold the door open for you. 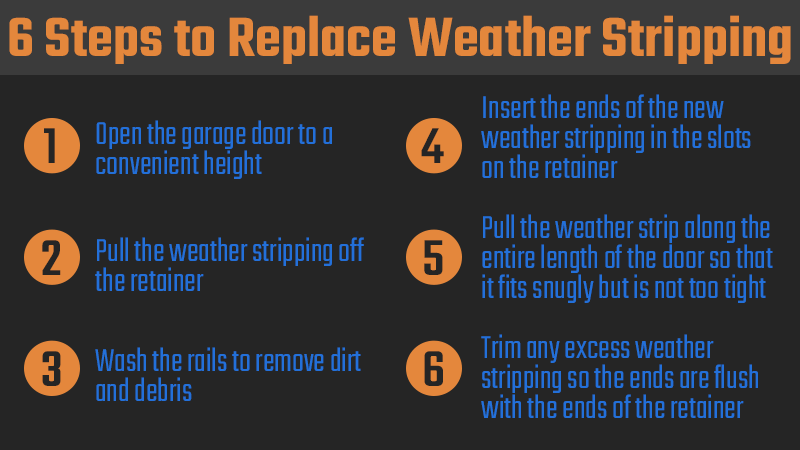 Pull the weather stripping off the retainer with your hands or with a pair of pliers. If it’s stuck, grease it with soapy water or use a silicone base lubricant. Wash the rails with a wet rag to remove any dirt and debris. You may need to use soapy water for this too. Insert the ends of the new weather stripping in the slots on the retainer. stripping while a friend guides the opposite end. Trim any excess weather stripping so that the ends are flush with the ends of the retainer. If you are having problems with your garage door or think it is time to replace the entire door, we can help. We offer 24-hour emergency service and have the experience and expertise to fix both commercial and residential garage doors. Contact us today to find out how we can help you.